The woman suffrage amendment was first introduced in 1878 and languished for decades in a congress that felt no need for women’s votes. Forty years later suffragists had won full or partial voting rights in eighteen states and were sending sympathetic legislators to the capital. Their work for the World War I war effort, combined with persistent lobbying and demonstrations, finally won President Woodrow Wilson’s endorsement. After a year's delay, congressmen, mainly Republican, worked quickly to pass the woman suffrage amendment hoping it would be ratified in time for new voters to show their gratitude in the 1920 election. 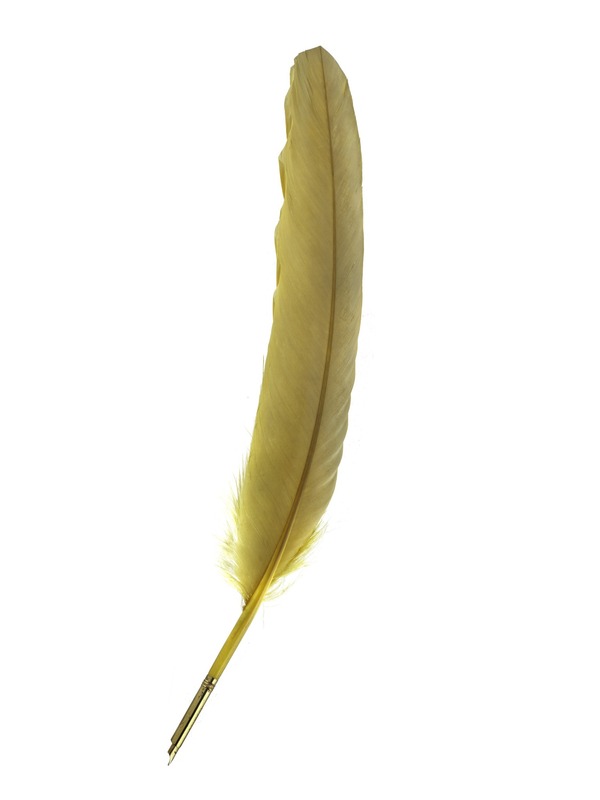 Pennsylvania Governor William Cameron Sproul used a pen in the woman suffrage movement’s signature yellow hue to sign his state’s ratification of the Nineteenth Amendment. 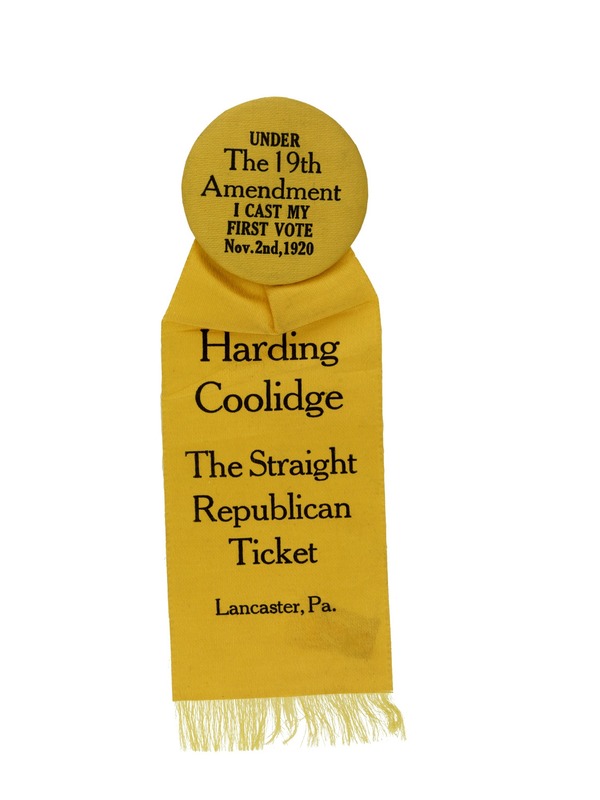 A first-time voter’s badge proudly proclaimed her support for the party that passed the woman suffrage amendment. 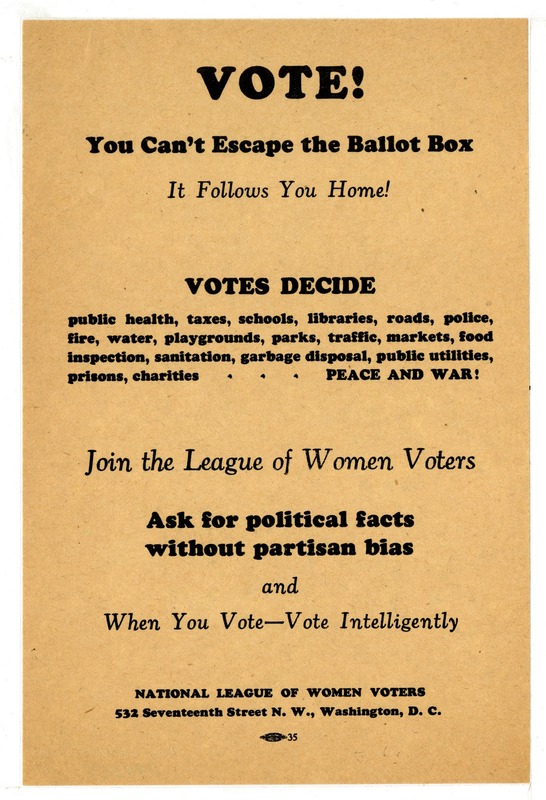 Determined to be responsible voters, former suffrage activists took a leading role in voter education for newly enfranchised women.